Well, I guess I should just come out & say it. I've drank the kool-aid. That whole "other half" that loves designer bags... I totally get it now! For my 26th birthday (this past August) I used some birthday cash & bought my first "designer bag". In the end I fell in love with this style (the "5 zip mini") & particular color because it makes a statement but is still so versatile. Those little nubs on the bottom & the long tassel-like zipper pulls are SO luxe to me! 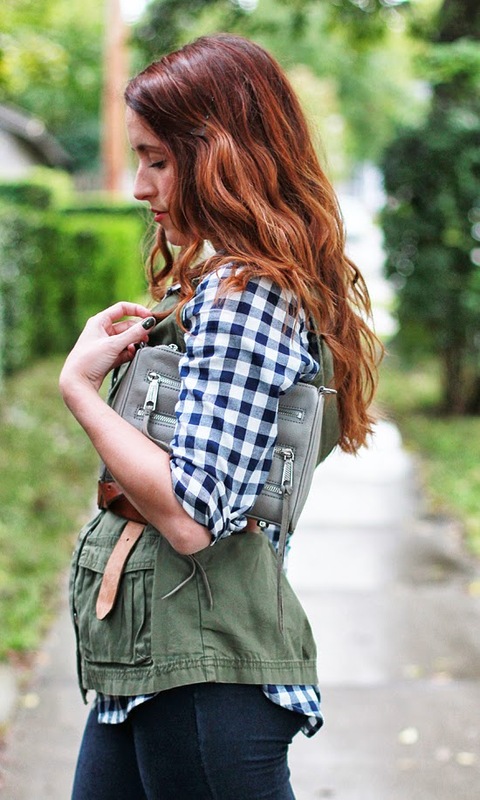 The bag can be worn 4 ways (long shoulder, crossbody, short shoulder bag or clutch), with all the pockets I was looking for. I went with gray not only because it is my favorite neutral, going from brown to black with ease, but because I didn't have a gray purse in my closet yet. So that is my Minkoff story. Have you drank the designer purse kool-aid? 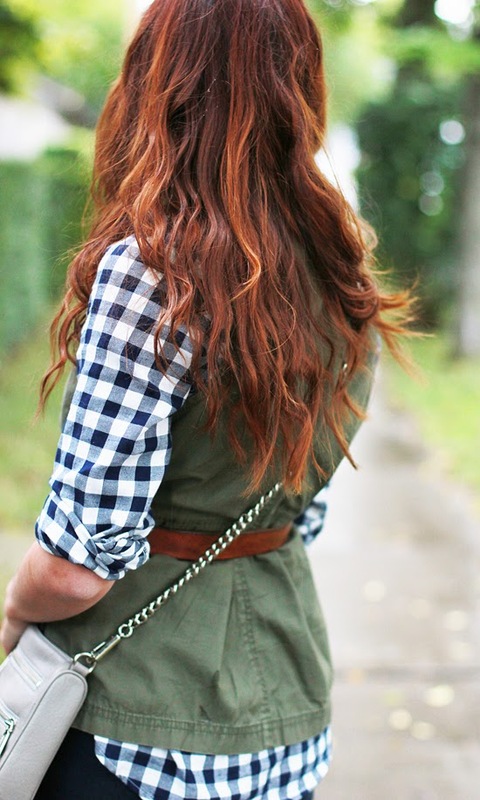 Love this whole outfit, the bag just adds this perfect touch too! I love RM bags! They're definitely worth the investment, and the one you chose is so cute. Plus, the colors will go with anything! What an adorable outfit! And I LOVE the bag, great choice! Congrats on your new bag...it's gorgeous! Cute! And if I had a Frye factory in my town... Oh man. Frye is my shoe kryptonite. Congrats on your RM purse - I have a couple and have been really pleased how well they are made. 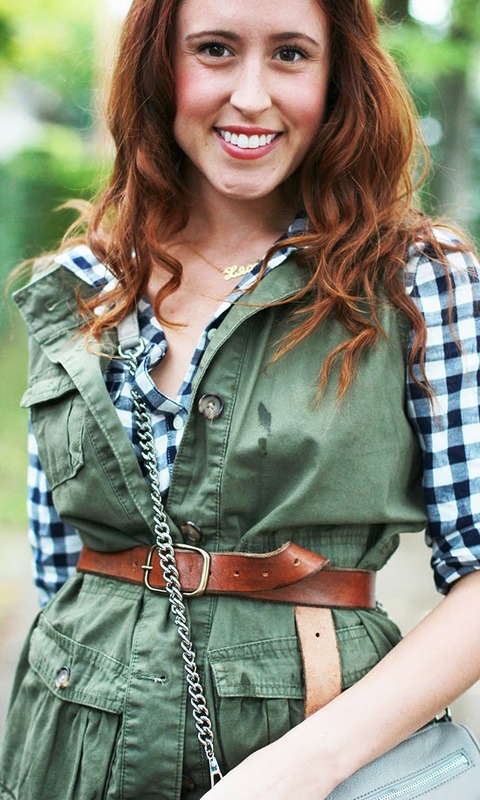 And I just adore this outfit - I have the same vest and will need to copy this. And I am totally jealous on your awesome Frye purchase! ooooh great choice! i've been eyeing up this rm for forever too. maybe i'll take the plunge soon too! I 'drank the koolade' a few years ago with the designer bags :) They just feel and look nicer I think! Great choice for your bag, the 5-tip is so versatile. Love the color! I absolutely love that bag and I think you definitely made the right choice! I would never think to go with grey, but that was actually a great idea! It is pretty dangerous! My only saving grace is that I'm usually only home on holidays when they are closed... but when I'm home & they are open, it's ON! 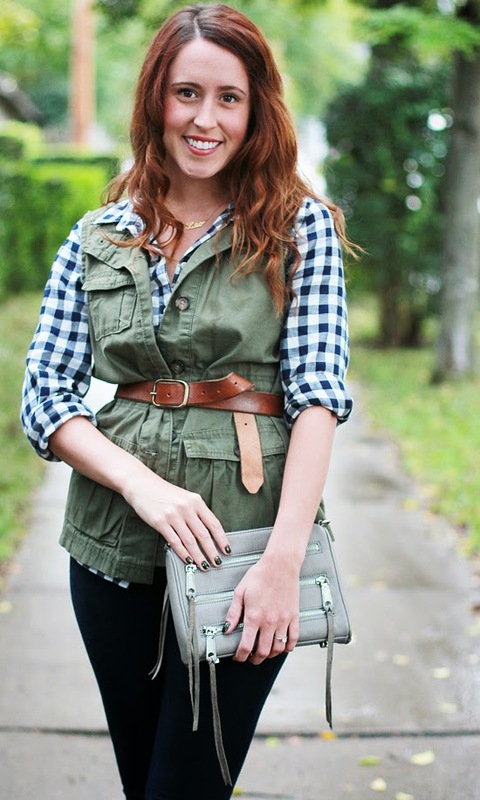 Love this outfit too...I bought that flannel recently and love it! 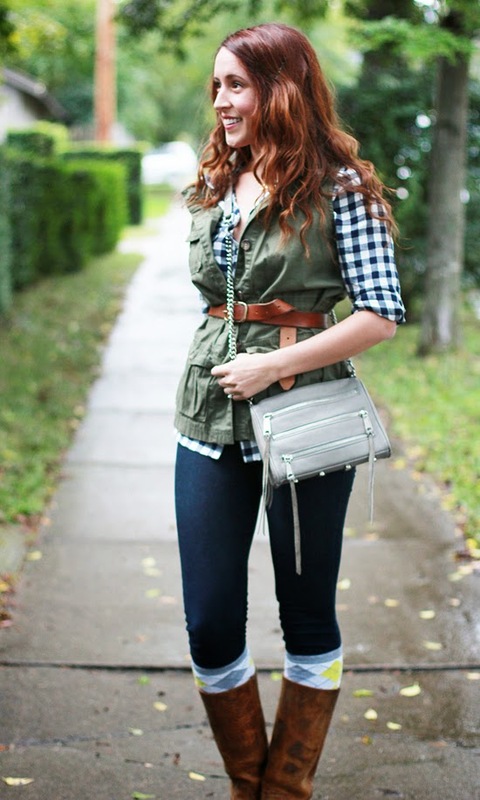 I really like the look paired with vest! 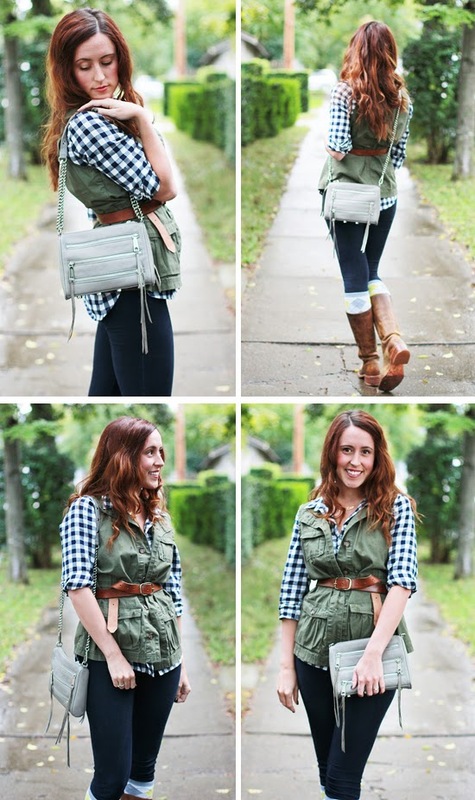 I love the bag that you went with Jessica and you look SO pretty in all of these photos! Your hair looks beautiful like this! I want a RM bag so badly! Buying your first designer bag is always exciting! I remember purchasing mine with trepidation, spending over a year trying to find a cheaper alternative. But all I can say is you'll never look back, the quality is always so much better. I am SUPER jealous that you can buy Frye boots for $80! I just spend over $200 on a USED pair!! I'd buy many more if they were that price! This is seriously the cutest! Good choice on the handbag- I own 4 or 5 RM's- I pick up one per sample sale- I'm soooo baddddddd! Love this outfit! And I love my RM bag. My fav part is the ability to wear it all different ways. So genius what they did with the chain handle! Glad you drank the kool-aid! Love your new bag!! And Frye's for $80? I'm coming to visit! Ooh you smartie, taking advantage of the higher end deal sites is a great idea!